Damon Wayans' gift for performing developed when he was a child as a way to capture the attention of his parents and nine siblings. Over the years, his unique comic style has brought him success on stage, television, and film. After beginning his career as a stand-up comic in 1982, he landed a role as a featured performer on Saturday Night Live. Wayans went on to star in his own HBO specials. For three seasons, he co-starred and wrote for the Emmy� Award-winning series, In Living Color, for which he also personally received two Emmy nominations. 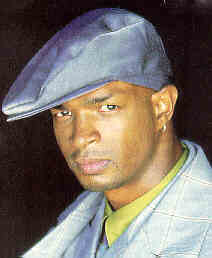 Wayans has starred in a number of films, including Bamboozled, Major Payne, Blankman, Bulletproof and Mo' Money, which he also wrote and executive produced. Additional film credits include The Great White Hype, Celtic Pride, The Last Boy Scout, Earth Girls are Easy, I'm Gonna Git You Sucka, Colors, Punchline, Hollywood Shuffle, Roxanne, and Beverly Hills Cop. Wayans is no less talented as an author. May of 1999 saw the release of Bootleg, a humorous compilation of his observations regarding family, children, marriage, and politics. The book was a tremendous success and quickly reached the New York Times Bestseller List.